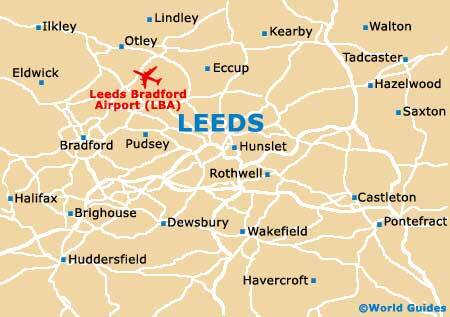 Leeds is first mentioned in the records of the 8th century. In his study of the English people, the Venerable Bede wrote of a place called 'Loidis'. 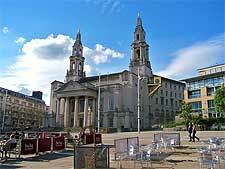 The next story in the history of Leeds dates back to the Vikings. When they arrived in the county of Yorkshire, they divided it into 'ridings'. Leeds was part of what was known as the Skyrack wapentake. It's believed that a Viking settlement existed in Armley, although no evidence has been found to support this theory. By the arrival of the Normans in the 11th century, a settlement was certainly in existence in the area now known as Kirkgate. According to the Domesday Book of 1086, there was a mill, a church and a priest here. Whilst the Norman invaders did a fair amount of damage in other parts of northern England as they sought to subdue the kingdom, Leeds escaped relatively unscathed. The growth of the city is largely down to one man, Maurice Paynel. Paynel was the lord of the manor here in the opening years of the 13th century. In 1207, he decided that he would build a new town. In his plans, the centre for this new settlement was present-day Briggate. King John granted a charter that allowed the townsfolk to do business on their own account. By 1372, there was a bridge across the River Aire, meaning that the old medieval town and the new town were effectively one. In the 14th century, we start to see the makings of Leeds' textile industry. Records show that there were three vats in the town for dyeing cloth. There were also numerous religious buildings, including chantry chapels, parish churches and a monastery at Kirkstall. By the beginning of the 17th century, Leeds mainly dealt in the woollen trade and was flourishing as a consequence. However, civil war and bubonic plague were to both take their toll. Throughout this difficult period of history, the city's cloth retained its reputation for being of an exceptional quality. 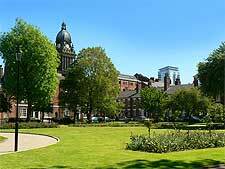 During the 18th century, another industry rose to pre-eminence in Leeds and the surrounding area. Numerous coal mines were dug, helping to fuel new textile factories that sprang up all over the city. One of these was the Bean Ing Mill owned by Benjamin Gott. Another was Marshall's flax mill in Holbeck. As the 18th century drew to a close, Leeds was a city of factories, mills and canals. It was the Victorian era that brought most change to the city. Between 1801 and 1901, its population rocketed from just over 53,000 to over 420,000. Leeds was very much one part of a huge 'workshop of the world'. Dominant industries still included cloth and coal, although new ones had been added, such as brewing and printing. Such economic success did not, however, filter through to benefit all levels of society. Workers often lived in terrible conditions and the city was not surprisingly a hotbed of dissent. Many disgruntled workers took part in the Luddite riots of 1812. In 1842, there was also a Chartist insurrection here. Cholera outbreaks took their toll in the mid-19th century. 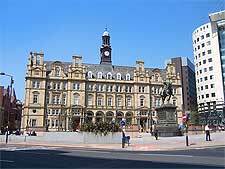 From the 1840s, Leeds received a wave of immigrants, fleeing from Ireland and from eastern Europe. Gradually, life did improve for Victorian residents in Leeds. In 1858, a new Town Hall was opened. It was the first of many civic building projects, including a new infirmary, theatre and science college. In 1893, Leeds finally became a city. The city has witnessed many changes in the past hundred years or so. Most ostensibly, it lost the majority of its links with its traditional textile industry. Other trades grew up to fill the vacuum, including tailoring, engineering and distribution, helping it to survive the economic crises to come. Despite its size and the scale of industry in the city, Leeds emerged from the World War Two period of history relatively unscathed. Post-war building programmes were largely concerned with keeping up with housing demand. 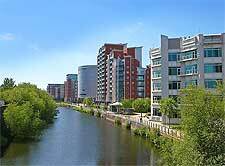 Despite the race riots and economic woes of the 1980s, Leeds has emerged as a vibrant cosmopolitan city.